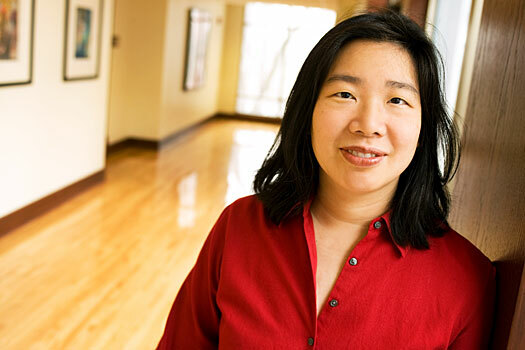 It will be a homecoming of sorts for award-winning writer and Appleton native Lan Samantha Chang when she returns to the Lawrence University campus to receive an honorary Doctor of Humane Letters degree Sunday, June 12 at the college’s 167th commencement ceremony. Chang, the director of the prestigious Iowa Writers’ Workshop at the University of Iowa, also will serve as the principal commencement speaker. This will be Chang’s first honorary degree. Lan Samantha Chang will receive an honorary degree from Lawrence and serve as the principal speaker at the college’s 167th commencement June 12. Photo by Tom Jorgensen. Chang, whose parents emigrated to the United States from China, graduated from Appleton West High School in 1983. Her honorary degree will further connect her to Lawrence. Her mother earned a bachelor of music degree in piano pedagogy from Lawrence, while her father was an associate professor of engineering at the former Institute of Paper Chemistry, which had a long affiliation with Lawrence. Her path to award-winning writer followed a circuitous route. Chang attended Yale University intending to satisfy her parent’s wishes of pursuing a medical degree, but she soon decided becoming a doctor was not in her future. After earning a degree in East Asian Studies, she told her parents she would become a lawyer, another career option more designed to please her parents than her own interests. She eventually earned a master’s of public administration degree from Harvard University’s Kennedy School of Government. Chang eventually enrolled at the University of Iowa and earned a master of fine arts in creative writing. While she says her life has been much easier since then, “I don’t think I’ve ever circled as much as I did after college when I understood that I would have to disappoint my parents and pursue an uncertain life,” said Chang. Before returning to the Iowa Writers’ Workshop, Chang taught creative writing at Stanford University as Jones Lecturer in Fiction, in Warren Wilson College’s MFA program for writers and at Harvard University as Briggs-Copland Lecturer in Creative Writing. Since 2006, she has served as the program director of the Writers’ Workshop at the University of Iowa, where she also teaches English as the May Brodbeck Professor of Liberal Arts and Sciences. Chang’s experiences as an Asian American inspired her to write two novels and a collection of short stories about the merging of Chinese and American culture and the dynamics of family and wealth in times of hardship or after war. Her works include 1998’s “Hunger: A Novella and Stories,” 2004’s “Inheritance: A Novel” and “All is Forgotten, Nothing is Lost: A Novel” in 2010. 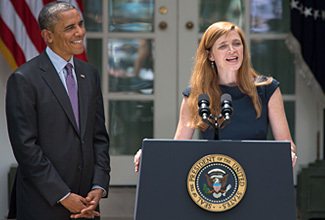 Samantha Power, President Barack Obama’s recent nominee as new U.S. Ambassador to the United Nations, has a Lawrence University connection. President Richard Warch awarded Power an honorary Doctor of Humane Letters — her first honorary degree — at Lawrence’s 2004 commencement. At the time, she was a lecturer in public policy at Harvard University’s John F. Kennedy School of Government. The year before Lawrence recognized her with an honorary doctorate, Power had won the 2003 Pulitzer Prize in the general non-fiction category for her book “A Problem from Hell: America and the Age of Genocide,” which examines U.S. responses to genocide in the 20th century. The book also earned the 2003 National Book Critics Circle Award and the Council on Foreign Relations’ Arthur Ross Prize for the best book in U.S. foreign policy. A long-time Obama advisor, Power currently serves as the president’s senior director for multilateral affairs and human rights. Her nomination is subject to U.S. Senate confirmation. 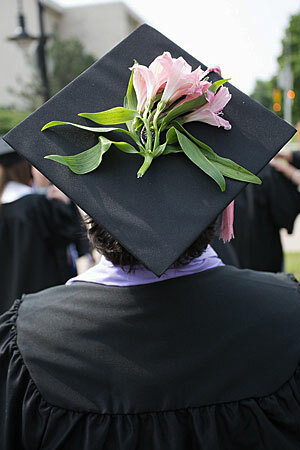 Lawrence holds its 2013 commencement Sunday, June 9. 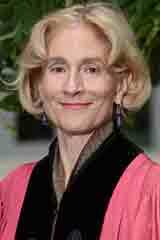 Celebrated University of Chicago Professor Martha Nussbaum will be this year’s honorary degree recipient. 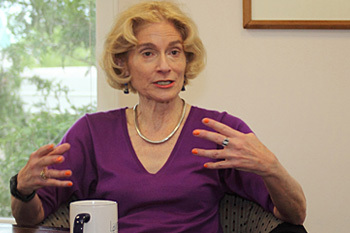 Lawrence University will recognize Martha Nussbaum, one of the world’s pre-eminent scholars, public intellectuals and an award-winning author, with an honorary Doctor of Humane Letters degree Sunday, June 9 at the college’s 164th commencement. Nussbaum, the Ernst Freund Distinguished Service Professor of Law and Ethics at the University of Chicago, also will serve as the principal commencement speaker. This will be Nussbaum’s second speaking engagement at Lawrence. She delivered the university convocation “Global Duties: Cicero’s Problematic Legacy” in May, 2001. Before joining the University of Chicago in 1995, Nussbaum taught at Harvard and Brown universities. At the same time, she served seven years as a research advisor at the World Institute for Development Economics Research in Helsinki, which is part of the United Nations University. .
As the holder of the Freund chair at Chicago, Nussbaum has full appointments in the philosophy department and the law school, as well as associate appointments in the political science and classics departments and the divinity school. She is also a member of the Committee on Southern Asian Studies and a board member of the Human Rights Program. Among the country’s most celebrated philosophers and celebrated thinkers, Nussbaum believes philosophers should act as “lawyers for humanity” to address questions of justice, basing her work on a political philosophy of human capability and functioning that has both Aristotelian and Kantian roots. Her scholarship also has focused on the transformative aspects of the connections between literature and philosophy. 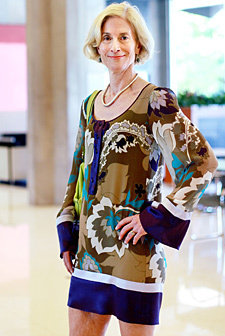 A prolific writer with more than 350 published scholarly articles, Nussbaum is the author of nearly three dozen books, including 2010’s “Not for Profit: Why Democracy Needs the Humanities,” in which she argues that the humanities are an essential element for the quality of democracy. Her book “Cultivating Humanity: A Classical Defense of Reform in Liberal Education,” was recognized with the Ness Book Award of the Association of American Colleges and Universities and the Grawemeyer Award in Education. A native of New York City, Nussbaum earned a bachelor’s degree in 1969 from New York University, where she studied theatre and classics. She went on to earn master’s and doctorate degrees in classical philology from Harvard University. Former U.S. Senator Russ Feingold will spend part of the Fall Term at Lawrence University as the college’s 2012-13 Stephen Edward Scarff Distinguished Visiting Professor. The Scarff professorship was established in 1989 by Edward and Nancy Scarff in memory of their son, Stephen, a member of the Lawrence class of 1975, who died in an automobile accident in 1984. It brings civic leaders and scholars to Lawrence to provide broad perspectives on the central issues of the day. Feingold received an honorary Doctor of Humane Letters degree from Lawrence in 2011 and spoke as part of the college’s 1994-95 convocation series. During his Scarff appointment, Feingold will present guest lectures for the courses “Introduction to International Relations,” “International Politics” and others. 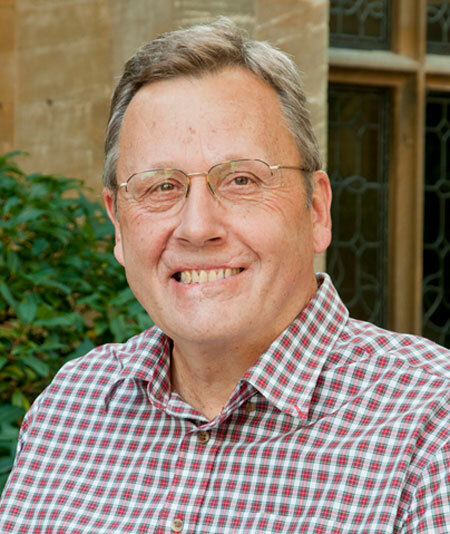 He also will deliver a public address and participate in a weekend retreat with students at Björklunden, Lawrence’s 425-acre northern campus in Door County. One of Wisconsin’s highest-profile elected officials, Feingold spent 28 years in public service as both a three-time state senator (1982-92) and U.S. 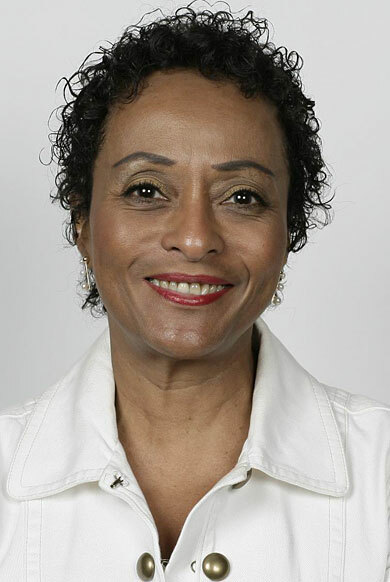 Senator (1994-2010). During his 18 years in Congress, Feingold established himself as one of the U.S. Senate’s most independent voices. He was the lone senator to vote against the Patriot Act in 2001, opposed President Obama’s decision to expand the war in Afghanistan, was the first senator to propose a timetable to exit Iraq and fought against NAFTA and other financial deregulation and trade agreements he considered unfair. “I could not be more pleased to be working with the students at one of the great pillars of education in Wisconsin, one that has produced some of Wisconsin’s strongest civic leaders,” said Feingold. Feingold also was named the inaugural Mimi and Peter Haas Distinguished Visitor at Stanford University during the winter quarter of 2012 and will return to Stanford Law School to teach in 2013. He is the author of the New York Times’ best-selling book “While America Sleeps,” which examines the challenges America faces as a nation since the 9/11 terrorist attacks. In 2011, Feingold founded Progressives United, a grassroots organization designed to counter corporate influence in politics. A native of Janesville, Feingold graduated from the University of Wisconsin in 1975 and earned a law degree in 1977 from Oxford University as a Rhodes Scholar. He returned to the states and earned a law degree from Harvard Law School in 1979. Feingold practiced law in Madison from 1979-85. Feingold is the 18th person named Lawrence’s Scarff Professor. Previous appointments include McGeorge Bundy, national security adviser to presidents Kennedy and Johnson; Rev. William Sloane Coffin, Jr., former chaplain at Yale University, noted civil rights advocate and peace activist; and Takakazu Kuriyama, former Japanese Ambassador to the U.S. Founded in 1847, Lawrence University uniquely integrates a college of liberal arts and sciences with a world-class conservatory of music, both devoted exclusively to undergraduate education. Ranked among America’s best colleges by Forbes, it was selected for inclusion in the book “Colleges That Change Lives: 40 Schools That Will Change the Way You Think About College.” Individualized learning, the development of multiple interests and community engagement are central to the Lawrence experience. 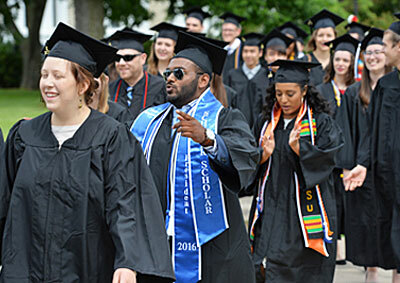 Lawrence draws its 1,450 students from nearly every state and more than 50 countries. Follow Lawrence on Facebook. Lawrence University graduate Anton “Tony” Valukas, the court-appointed examiner in the historic bankruptcy case of Lehman Brothers Holdings Inc., will be recognized by his alma mater with an honorary Doctor of Laws degree Sunday, June 10 at Lawrence’s 163rd commencement. Valukas, chairman of the Chicago-based national law firm Jenner & Block, also will serve as the principal commencement speaker. Valukas served as the United States Attorney for the Northern District of Illinois from 1985 to 1989. He is a fellow of the American College of Trial Lawyers. 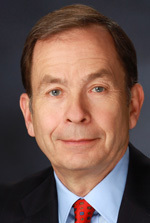 In 2009, Valukas was appointed by a federal judge as the examiner for the Lehman Brothers bankruptcy, the largest bankruptcy in United States history. As examiner, Valukas investigated the causes of the Lehman Brothers bankruptcy. After reviewing 34 million documents and interviewing nearly 300 witnesses, Valukas issued a seven-volume, 2,200 page report detailing potential wrongdoing by certain Lehman executives and Ernst & Young, the auditor. Valukas has been named one of the country’s leading litigation lawyers for seven consecutive years by Chambers USA, while Chicago Lawyer honored him as its “Person of the Year” for 2009. Last year, the Anti-Defamation League recognized him with its First Amendment Freedom Award. Specializing in civil and white collar criminal litigation, Valukas’ extensive experience includes consumer products litigation, product defect and consumer fraud class actions, food contamination, mass accident and environmental claims as well as defense work with accountants, real estate developers and corporate executives in high-profile matters. Valukas is a frequent presenter to global business and legal leaders on the financial, ethical and legal challenges facing the country, has been the featured speaker at numerous American Bar Association programs and has been published extensively. 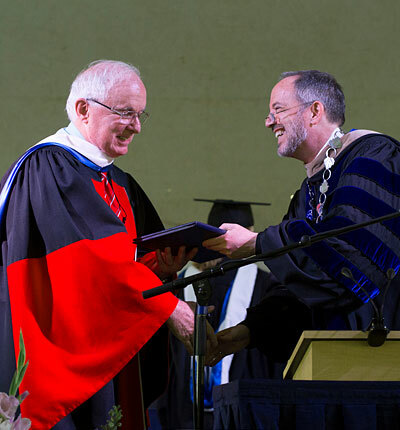 “I was surprised and delighted when I received a call from President Beck advising me that the university was going to award me an honorary degree,” said Valukas. “This award comes from an institution that I cherish and which was instrumental in shaping my life. After earning a bachelor’s degree in government at Lawrence in 1965, Valukas earned his J.D. from Northwestern University School of Law in 1968. He joined Jenner & Block in 1976 and was named the firm’s chairman in 2007. Lawrence University will recognize former U.S. Senator Russ Feingold with an honorary Doctor of Humane Letters degree Sunday, June 5 at the college’s 162nd commencement. Feingold also will serve as the principal commencement speaker. The Doctor of Humane Letters degree is in recognition of Russ Feingold’s distinguished service to the state of Wisconsin and to the nation during his 28 years in public service to date. Feingold, 57, established himself as one of the U.S. Senate’s most independent voices during his 18-year career there. He was the only senator to vote against the Patriot Act in 2001, opposed President Obama’s decision to expand the war in Afghanistan, was the first senator to propose a timetable to exit Iraq and fought against financial deregulation and trade agreements like NAFTA he considered unfair. He lost his 2010 election bid for a fourth term to Oshkosh businessman Ron Johnson. Recognized as an effective legislator who worked across party lines on both domestic and foreign policy, Feingold is perhaps best known for his work on campaign finance reform. It resulted in the landmark Bipartisan Campaign Reform Act, better known as the McCain-Feingold bill, which he co-authored with Republican John McCain. As a senator, he served on the Senate Budget, Judiciary, Foreign Relations and Intelligence committees. Earlier this year, Feingold accepted a visiting professor appointment at Marquette University Law School to teach the course “Current Legal Issues: The U.S. Senate.” In February, Feingold announced the formation of Progressives United, a grassroots political action committee to counter corporate influence in politics. The organization will support candidates while serving as a media and political watchdog. Feingold graduated from the University of Wisconsin in 1975 and earned a law degree in 1977 from Oxford University as a Rhodes Scholar. He returned to the states and earned a law degree from Harvard Law School in 1979. Feingold practiced law in Madison from 1979-85. A native of Janesville, Feingold first ran for public office in 1982, winning a seat in the Wisconsin State Senate. He was re-elected in 1986 and 1990 before successfully running for the U.S. Senate in 1992, defeating two-term incumbent Republican Robert Kasten. As a U.S. Senator, Feingold made a point of visiting each of Wisconsin’s 72 counties annually to conduct “listening sessions” with voters. This approach was one example of Feingold’s honest desire to represent his state with respect for all of its citizens.